This post is sponsored by Guard Your ID. All opinions are my own. You probably saw the recent commercials about medicare fraud or even the recent news of the Equifax data leak and wondered if your information is safe? How do you keep yourself protected? If you think you don’t have to worry, think again. Identity theft fraud cost consumers over $16 Billion in 2016 according to CNBC and that’s an increase of over 16% from 2015! Also according to medicare.gov, Medicare fraud wastes a lot of money each year and results in higher health care costs and taxes for everyone. Whether we want to believe it or not, there are scammers out there that are trying to get our personal information so they can steal our identity and commit all kinds of fraud. 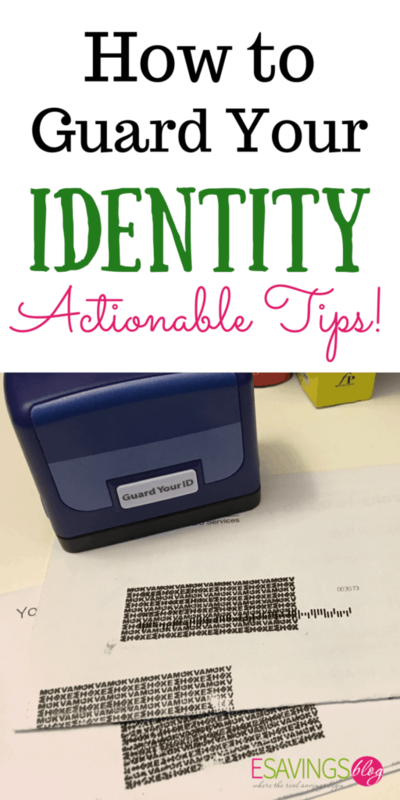 So how do you keep yourself protected from identity theft? I was a victim of identity theft myself at a young age! Since then I have always made sure to keep my identity protected. I make sure my accounts are safe and that I am notified of any activity on them. Once you have systems in place it becomes automatic and will save you time, money and frustration. Here are a few tips to help you keep you and your loved ones protected. Especially the elderly as they are prime targets! Once you put these safeguards in place you will want to put them in place for anyone you care for. Guard your medical cards and all other cards. Never carry your social security card with you, memorize your number and keep the actual card at home in a safe place. I made that mistake when my purse was stolen while shopping and the thief had access to my social security card, ID and pretty much everything. It’s been well over 15 years and I haven’t carried my social security card with me since and probably only needed the original card twice in that time for work purposes. Your medical card you may need more often but you will want to keep it in a safe place in your wallet. For medicare cards with social security numbers on them, you want to limit the times you carry them. Never give out your personal information over the phone! Banks, medicare and even social security will never contact you for your Medicare number, bank account number or other personal information unless you’ve given them permission in advance. If they’re calling you then they have your information already. If someone does contact you and you think that they are legit then write down where they are calling from and you can call them back directly and NOT with any number they give you. Look up the number or check your statements for the number and call them back using the number on your statement or their website. Make sure you tell your loved ones as well! My grandmother is constantly getting calls from people and I make sure I tell her to NEVER give out information over the phone! She knows not to answer any questions and to just hang up if she feels pressured to. She has even been pressured into donating money to organizations that are a bit shady, luckily she doesn’t have any way to pay them over the phone. Keep in mind anyone can create a donation form on the computer and mail it to you in hopes of getting a payment out of it, so always check who you are donating to if you get a form in the mail. Keep your mail and prescription information safe! 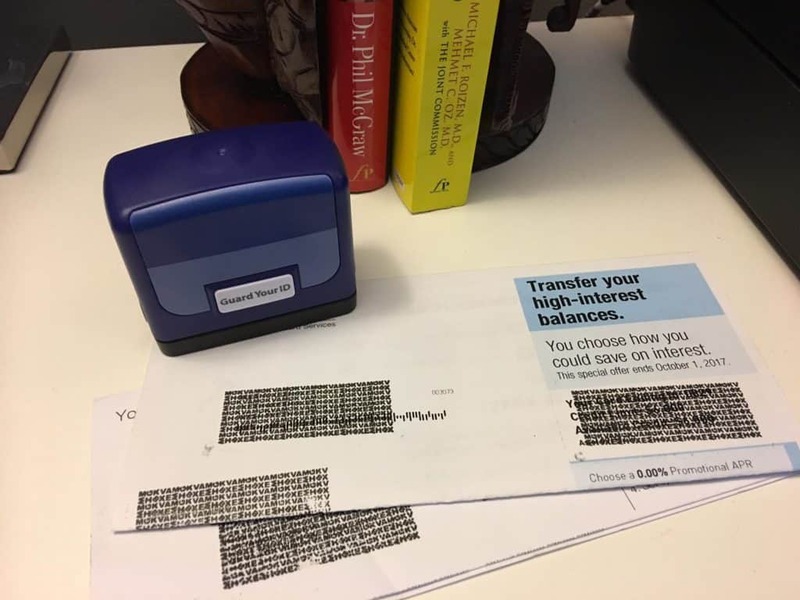 I always try and shred bank statements and such but as far as junk mail that has your address and full name and “preapproved” credit card offers etc, you will want to at least block off the personal information on them and throw them in the regular trash, not recyclables. I also do the same with magazine subscriptions etc. The less your name and address is out there the better. I am currently using the Guard Your ID stamps to easily block off bits of information I don’t want seen. I leave my stamp right next to my mail basket and go through the mail as it comes in. 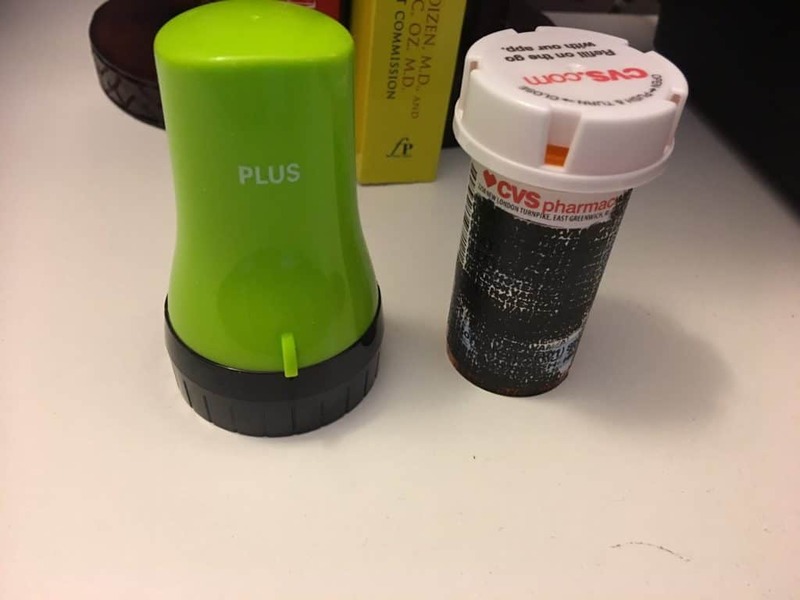 My grandmother takes a lot of medications so I am always disposing of pill bottles. It’s a pain to have to tear off the labels (they are pretty tough and don’t come off smooth) so now I am using the Guard your ID roller stamp for those too. You can purchase a stamp for yourself here. What to do if you think you are a victim of fraud or identity theft. A credit freeze denies creditors access to your credit report, whether the inquiry is legitimate or not. Keep in mind you’ll need to initiate a credit freeze with the three main credit bureaus ( Equifax, Experian, and TransUnion) individually. If you’re already a victim of identity theft, a credit freeze is completely free. If at anytime you need to apply for credit, you can temporarily lift the freeze, but it’s important to note that a credit freeze doesn’t ever expire — it stays in effect until you choose to remove it. Put fraud alerts on your credit! Alternatively, you can choose to put a fraud alert on your credit. Instead of blocking access to your credit report, a fraud alert simply requires lenders to take additional steps to verify your identity before allowing you to open an account. Unlike a credit freeze, a fraud alert only requires you to contact one of the three credit bureaus, who is then required to notify the others. Both of these options can actually be done before you become a victim and just require a little extra work but will keep you safer. If you think you have been a victim of medicare fraud, call them at 1-800-MEDICARE (1-800-633-4227) and report it right away! Implementing little precautions like the ones I listed are very easy and can be implemented pretty much right away. I hope these tips give you peace of mind and help you to protect yourself. Questions? Comments? Leave them in the comments section below and be sure to share this article with your friends!